Enter Our Smoothie Bowl Challenge! Smoothies in a glass? Puh-lease; that was SO yesterday. Nowadays, it’s all about the bowl. And if our Instagram feed is any indication, the trend is here to stay. Whether loaded with colorful berries, packed with leafy greens, or spiked with superfoods, smoothie bowls are a versatile and delicious breakfast or post-workout option. Plus, they’re B-E-A-UTIFUL – especially when artfully topped with everything from banana coins and granola to nut butters and coconut flakes. We love ’em so much that we decided to host a tropical smoothie bowl challenge in celebration of Brazil, home of the acai berry. Create a smoothie bowl with tropical fruits (think bananas, acai, mangoes, papaya, pineapple, coconut, and kiwis). 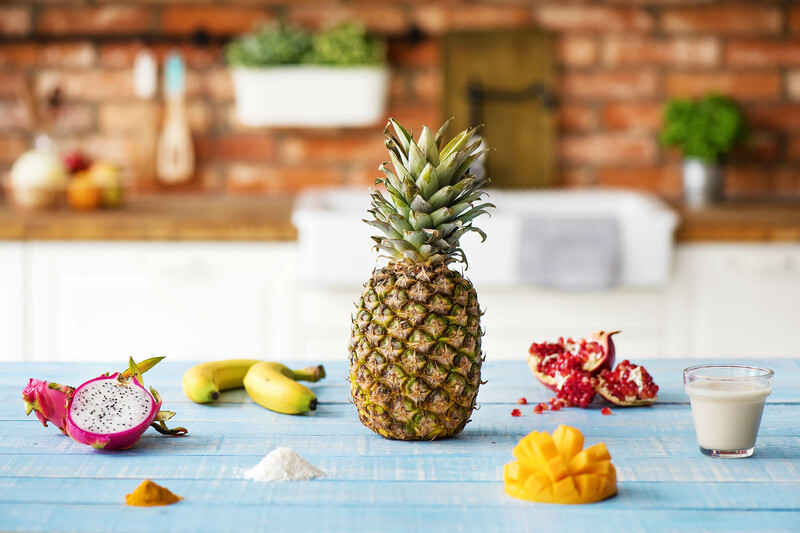 Snap a photo and submit it by either sharing on Instagram, Facebook, or Twitter with the hashtag #HelloFreshTroPics OR uploading it directly on lp.hellofresh.com/smoothie. Head over to lp.hellofresh.com/smoothie to gaze in awe at all the submissions and, more importantly, vote for your favorite. The contest runs through Monday, August 15! The winner gets one FREE MONTH of HelloFresh (4 boxes). Close your eyes for a second and imagine how amazing that would be. 12 mouth-watering recipes with fresh ingredients will be delivered straight to your door, and it’ll cost you nothing. Zippo. Zilch. Nada. Plus, you’ll get bragging rights. 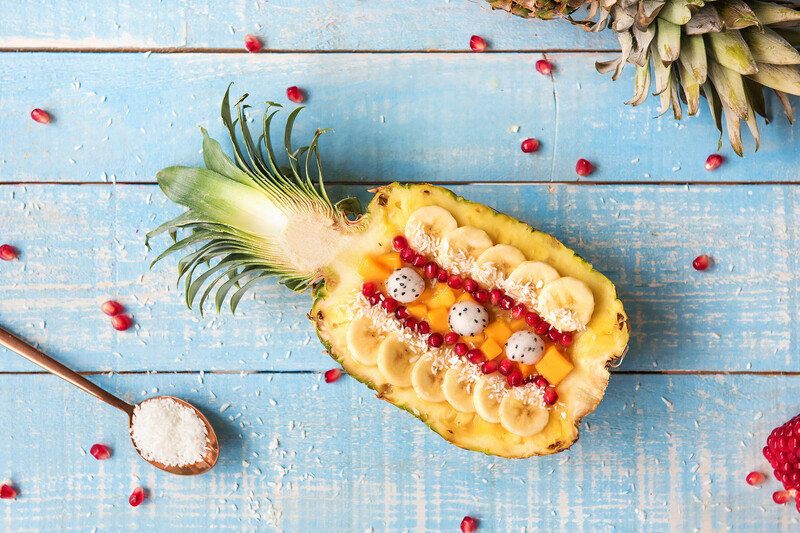 We thought you’d say that, which is why we’re sharing one of our favorite smoothie bowl recipes (which also happens to be served in a pineapple)! Cut the pineapple lengthwise, scooping out the flesh to make a bowl. Add the pineapple chunks, mango, banana, almond milk, and turmeric into your blender. Pour back into your pineapple bowl. Get creative by dressing it up with chopped mango, coconut flakes, pomegranate seeds, and small balls of purple dragon fruit. Now that’s a smoothie we could dive into! The world is your oyster smoothie bowl when it comes to this competition. Go balls to the walls with it. If you’re looking for even more inspiration, this avocado smoothie is for you. It’s not in a bowl, but we’ll let it slide this time. The post Enter Our Smoothie Bowl Challenge! appeared first on HelloFresh Blog.